i decided to make this as a database for most places visited in rp and story threads. feel free to add any place you like and give a description (long or brief). The capital of Fayte. It's of the many places in Fayte and is one of the most well-known for its home to a population of many Paranormals and Humans alike living in harmony. it serves as a safe haven for those being hunted down by the P.E.T. and any other threat similar. the city is very massive, being one the largest major cities in Fayte, and has 4 districts and a city hall. North District being the residential district, West being the market district and harbor, East being the school district, and the South being mostly business but also residential. 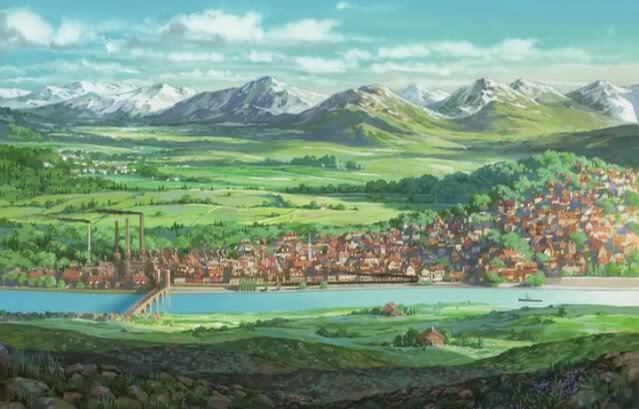 the town itself is over 1000 years old and has gone through many changes and growth since its initial foundation, starting from a simple small village, to a town, and then finally a city (has reached city status in recent years after its size was confirmed to go beyond normal town size by a few dozen extra acres of land covered by it). the Mayor of Oriton is in charge of seeing that the city continues to prosper in all aspects and that everyone feels safe within its borders be they human or paranormal. For being well-known to be the best city to live in Fayte in terms of safety and value, Oriton's population steadily grows more and more every decade, housing over a million people (Human and Paranormal alike, even other races of creatures from across the world). The city, and some of it's outskirts, are protected by a massive invisible force field, called the Great Border Barrier of Oriton (G.B.B.O. ), that completely covers everything within . It was created by the Paranormal Resistance with the powerful combination of science and magic as part of a highly-advanced security system that keeps intruders out and Oriton's citizens safe. The barrier allows only those who had been registered citizens through and any P.E.T operatives are kept out indefinitely. Though there had been cases when few had gotten through the force field and into the city, they were soon arrested or chased out as it is a breach in the treaty agreement between Oriton and the P.E.T. (No P.E.T. operative, affiliated agent, or weapon belonging to the organization are permitted within Oriton's Great Border Barrier limits, period). According to history, Oriton was originally the Paranormal Resistance first base ever built many years ago. It has since continued to be their headquarters as well as their home. To this day, they continue to build upon it and forever keeping it safe. The huge military bases of the Paranormal Extermination Team. They're everywhere around the world, often located in areas well-secluded from social inhabitants but near where Paranormals and paranormal activity had been reported to have been seen, and are extremely dangerous to trespassers as security is far too high to infiltrate without a well-organized group and strategy. These bases are part of the P.E.T. 's control of the Paranormals population because wherever they set a base, Paranormals are hunted down and either killed or imprisoned within their reaches. For over a thousand years, the Paranormal Resistance (a group dedicated to rescue and protect all Paranormals) had waged a never-ending war against the P.E.T. and have since been taking down their bases of operations to make areas of the world safer for Paranormals to live. Taking down these great fortresses is an incredible task to undertake but once they're destroyed, the Paranormal Resistance claim that land immediately to ensure that peace is kept and the fear of the P.E.T. is extinguished. The badlands are to the north of Oriton, 5 days travel on foot by walking. The Badlands got their name after a massive attack from the P.E.T. base there destroyed a entire civilization there in the mid 1500's A.D. about 1568 to be exact. Lush grasslands, winding fields, a 5 mile wide City, all leveled. Whatever weapon the P.E.T. 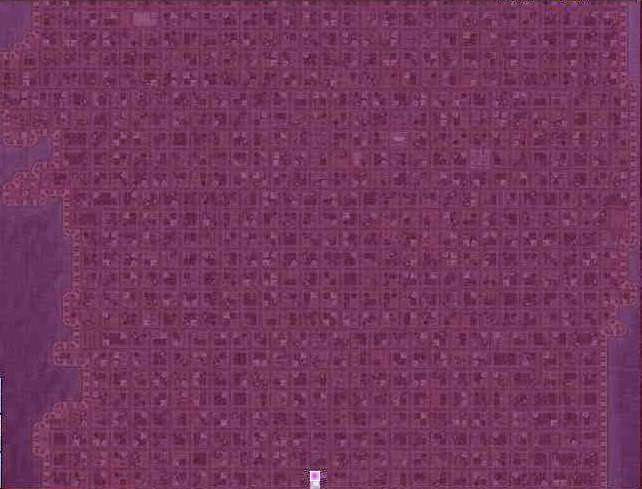 used, it was corrupted by something even more powerful then Vlade, and as a result, the entire area was left in Ruin, Looking as though a volcano had erupted. Trees were left twisted and warped. Lakes turned to Marsh. a sky that rarely ever had storm clouds was now nothing but that, grey and stormy creating many pseudo sand pits where if you stood still for too long you would sink. The remaints of the Castle that once stood there sunk into the ground. and Anything humanoid in nature, be they P.E.T. or Paranormal, nothing was spared the fate of being disfigured beyond recognition. The original name of the area is no longer known. What is known is that it used to be the capital of Fayte where the Royals lived. The attack that happened without warning killed off the royal paranormal family, leaving the Nobles in its wake to guide the Paranormals in their battle against the P.E.T. Eventually however, Many of the Nobles began to care less and less for their fellow Paranormals and humans alike, and earned the reputation as Terrible Nobles. Many of the Terrible Nobles relocated to a Town at that date in time, known as Oriton. as they relocated there, as did many other paranormals. The badlands as they are now is considered a place of banishment, only the most vile of Criminals are sentenced to live there, with a special seal branded on their skin preventing them from leaving the area due to the seal being linked to the area, much like the one guarding oriton, but in revserse, inseatd of keeping out, to keep in. Dont hold me to this timeline date, i'm just making stuff up for the hell of it. during the 1700's, southern Fayte was in conflict, as two powerful kingdoms, Bastaldor, and Grimore fought against eachother in a battle for power. Bastaldor was ruled by a human bloodline of royals. Their king was a man from India, who held their traditions true, taking a harem of women and making the strongest son his Heir. Bastaldor held almost all of the portside cities, meaning they controlled most of the trade to Fayte itself, making them quite powerful. Grimore was ruled by a family of Paranormal Royalty, consisting of Shapeshifting demons. The kingdom was not even a days walk from Bastaldor. They ruled the few remaining ports to Fayte, and had less power in the trade pool. Grimore and Bastaldor finally came to a agreement, centering on a prince by the name of Norris Hargreave, of Grimore, and Evangeline of Bastaldor. their marriage was to unite the two kingdoms, making it the Monopoly of trade for Fayte. Before this agreement could be upheld however, Norris turned on both kingdoms for unknown reason, toppling a mafority of both kingdoms powerbase, leaving gaps for other nobility from Fayte to takeover and replace the two troublesom Kingdoms. within less than ten years after Norris' revolt both kingdoms lay in ruin, and Norris himself haunted bastaldor Castle, until the Late 1800's early 1900's, WHen Norris finally left the old rundown castle. The land that was once Bastaldore and Grimore has been combined into Port Side City Agapanthia. It is protected by a lesser version of the Great Oriton Barrier. The Lesser Barrier will allow P.E.T. personel to travel into the city, however at the first sign of agression, both the P.E.T. member involved and the Paranormal involved will find themselves miles away from eachother, to ensure that Peace is kept. The barrier automatically raises itself to full potential and rebuffing any attacks. This allows some of the less... agressive members of the organization and Paranormal resistance to co-operate for small amounts of time, making it a monopoly of trade once more. A massive space station of the Paranormal Extermination Team located somewhere near Earth, just outside of the moon's orbit. It's 1500 miles long and 700 miles in width (through many years of expansion), making it the largest mobile base ever constructed by the P.E.T. and in Earth's history. It is the primary Base of all P.E.T. operatives as well as the home of their leader, Zafnos Vlade, and houses millions of operatives, scientist, prisoners, civilians, and machines of all kinds. Rumors has it that this incredible station is also its own kindgom as it has its own economy, businesses, schools, medical facilities, market areas, and more. Currency in the Ragonoa is the unity of all types of money around the world and can be used anywhere within. However, only those who are P.E.T. operatives or sworn followers of Vlade may live here peacefully and those who defy Vlade are either exiled, imprisoned, enslaved, killed, or forced to obey through "rehabilitation". Arguably the most impregnable and nigh impenetrable of all the bases, the Ragonoa Fortress has by far the most powerful of defensive and offensive capabilities out of all the P.E.T. bases as well as being made of the combination of the hardest alloys ever found and continuously maintained by multi-functioning intelligent microscopic machines known as Nanobytes (or Nanomachines as they're commonly called). Among its great defenses, the space station is also protected by a Uber Repel Field (a powerful shield that literally pushes objects and energy away from the Ragonoa when deemed a threat to its safety), 2500 high-powered high-accuracy railgun turrets mounted everywhere on the exterior, Directional E.M.P. Weapon (Humorously called the Mountain D.E.W. by P.E.T. operatives for it's the size of a mountain but feared for its immense power to shut down all electronic devices and vehicles it targets), waves of Fighter Droids and P.E.T. Fighter Pilots, and an extremely high-intelligent monitoring security system that monitors every inch of the fortress through the Nanobytes that practically cover every cubic centimeter of the entire place. Any damage detected by the system is immediately repaired by the Nanobytes, a benefit branching to both living and non-living that are of P.E.T. and are anywhere on the ship. For its origin, the building and launching of the Ragonoa Fortress is kept completely confidential from everyone, even those who work closely to Vlade as it is believed that Vlade was responsible of designing and creating the whole ship from the ground up by himself using is own power. If proven true, it'd show just how powerful he really is. So far, there hasn't been a successful breach into the Ragonoa Fortress as of late. The Paranormal Resistance, enemies of the P.E.T., were among many who had tried countless times in countless ways of attempting to attack and infiltrate the seemingly-impossible space station, only to fail in defeat time and time again in losing numbers. Those who have successfully breached the fortress were never seen again. It is after suffering so many losses and casualties that the PR had given up their pursuit and kept clear of Vlade's domain. It has been urged to the rest of the world to do the same.